Could yoga finally fix your stubborn back pain? If you’re one of the estimated one-third of adults dealing with back pain — which can impair your sleep — there may be some relief in sight, according to a new study published in the journal Cochrane Library. Researchers from the University of Maryland School of Medicine (UMSOM) found that yoga — specifically, Iyengar, Hatha or Viniyoga forms — appeared to relieve pain and improve function for those suffering from back pain. They found that compared to other forms of exercise, yoga led to similar improvements in pain after three and six months of practice. “For some patients suffering from chronic non-specific low back pain, yoga may be worth considering as a form of treatment,” study author L. Susan Wieland, PhD, MPH, assistant professor of family and community medicine at UM SOM, said in a press release about the study. This is exciting news, but take it with a small grain of salt. 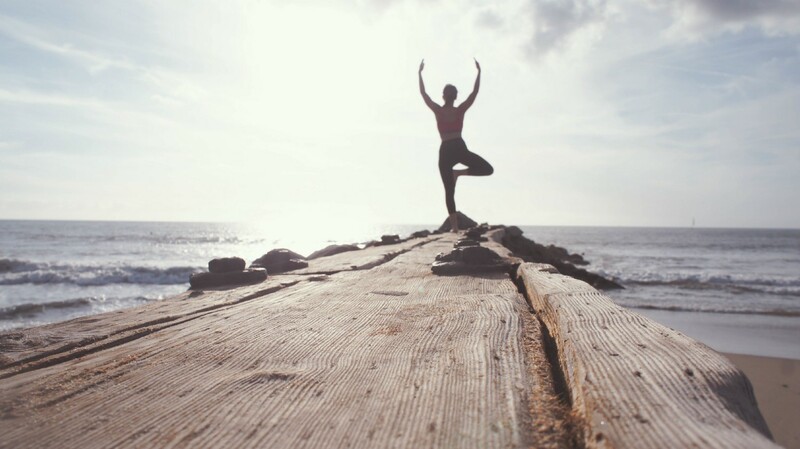 The researchers could only say with “moderate certainty” that participants practicing yoga had “small to moderate” improvements in back function and pain. Given that yoga has also been shown to benefit your brain and help keep stress levels in check though, it’s not a bad idea to dust off your mat.